This is supposed to be written for a layman, or so the introduction says, but it pretty much made my eyes cross with the technical stuff. I mean, I can follow the explanation of how gamma rays free electrons which then cause damage to neighbouring atoms, and then the energy of all this and the ‘healing’ atoms makes the other element glow with heat, but I have a limited amount of tolerance for pages on pages explaining the difficulty in getting a direction for the gamma ray bursts from that. Just, generally, too much information for me. 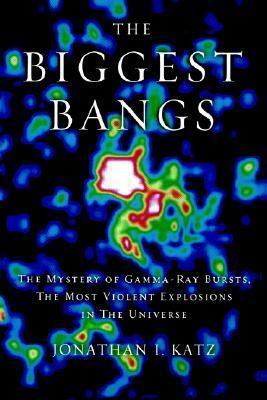 I suspect that someone more interested in astrophysics would enjoy it more, but mine is a casual interest. I’m most interested in gamma rays when Bruce Banner and Tony Stark are studying them to locate an object of immense power in the hands of most emphatically the wrong person. This is a very clear introduction to the formal aspects of poetry, but it also serves as a reintroduction for someone who has an English Lit degree but never got very interested in the technical aspects of poetry. We disagree on quite a few things — his characterisation of Anglo-Saxon poetry as “not English” (because of course, it is quintessentially English: the Anglo-Saxons became the English), for example, and his doubtfulness about Sir Gawain and the Green Knight (there are dialect words in Sir Gawain which survive still: just because Chaucer’s Middle English is closer to what became universal doesn’t mean Sir Gawain is irrelevant). Also his relative dismissiveness of tight forms like the villanelle: he rightly praises one of the most famous, Dylan Thomas’, but is otherwise fairly unimpressed by it. I love villanelles, and I think more people have “done them right” than he suggests. 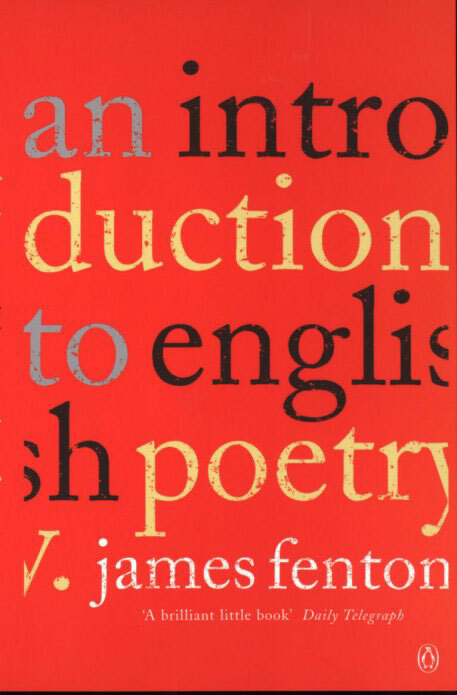 Still, with short, easy-to-digest chapters, clear explanations, and a helpful glossary, not to mention the addition of his thoughts as a practitioner of the craft, this is an interesting and informative introduction to a cross-section of English poetry. 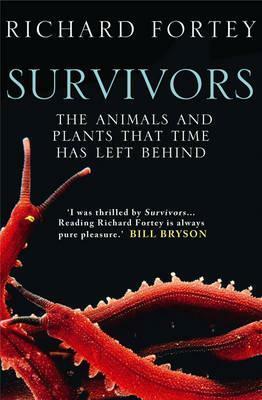 I enjoyed this enough that I’ve reserved the other books by Richard Fortey that my local library has. He has a somewhat rambling style, though, which might not be to your taste. I enjoyed the ride, in general; in terms of the science, I didn’t learn anything I didn’t already know, concept-wise, but some of the animals and habitats Fortey described were new to me. It was quite personal to him, in a way, covering stuff he’s particularly interested in and documenting his travels to find these creatures (to the extent of talking about sipping gin and tonic from a plastic cup while sat on the balcony of the inn at Yellowstone). That might be less than interesting to some, but I did quite like knowing about the wider habitats surrounding these creatures, and the human context that they’re so often really close to, maybe even endangered by. The inserts with colour photos are nice: words generally work better for me than pictures, so I wasn’t that interested, but it does give you a glance at some of the stranger, more anciently derived creatures of our planet. Fiction-wise, it was Cuckoo Song, by Frances Hardinge, which I loved to bits. If I had to come up with an immediate comparison, I guess Franny Billingsley’s Chime comes to mind — some similar ways of dealing with human/Other interaction, plus flawed families that feel real. 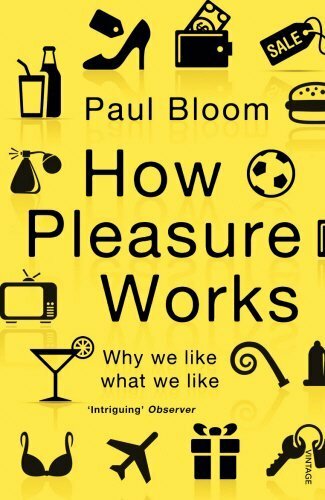 Non-fiction-wise, it was How Pleasure Works by Paul Bloom, which, well, I love my science so his very clear, very accessible, very basic style disappointed me a little. Many things, as usual. Two ARCs have reached the top of my not terribly orderly pile: The Wizard’s Promise by Cassandra Rose Clarke, and Natasha Mostert’s The Midnight Side. Because of the very nature of the twists I’ve been promised in the latter, I think I’ve figured out the story and I’m not desperately impressed, but will finish it. Don’t know if I’ll review the other two books I was approved for by her, though. The Wizard’s Promise is so far fun, though I think I like the protagonists of The Assassin’s Curse and The Pirate’s Wish better. Next down on the pile (if you think of it in terms of archaeology, with strata, you wouldn’t be far wrong) is Fangirl, by Rainbow Rowell. I’m not head over heels in love with it, but I recognise Cath’s fannishness and also her social awkwardness, and I think I might end up liking it. Although one review I read pointed out the chronic boundary pushing going on around Cath, and now I can’t stop seeing it. It’s really setting my teeth on edge. Still reading Tam Lin, The Thirteenth Tale, Retribution Falls, etc, etc. It’s been pretty well established that I don’t have a clue. But I’m looking thoughtfully at the book I got from the library on zoonotic diseases, and I’m thinking of finally getting to Maus and Persepolis, to prove that I r serious graphic novels reader, as well as a fan of superhero comics. Although I did also get a Marvel Now Journey into Mystery: Featuring Sif TPB, so there’s plenty of the latter due to go on, too. I should finish reading Dark Reign: Young Avengers, too. I’m pretty willing to pick up any of the books Michael Wood has written. They’re obviously more popular history than anything, pitched at BBC documentary level, but that is the level of knowledge I have for a lot of historical subjects. 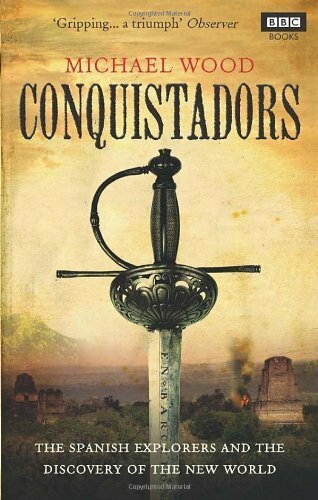 Conquistadors is in the usual format familiar from Wood’s book on Alexander: he retraces the steps of the conquistadors, in some cases clarifying their routes where they weren’t completely known before. This is a period of history that’s not entirely new to me, but pretty nearly — we were taught a bit about the Aztecs and Cortes back in primary school, but that was about the extent of it. Wood evokes all this pretty clearly, though some colour photographs may have helped — my edition only has a small section of black and white ones. He uses sources from both sides of the conflict, and I think he kept a balance reasonably well. He obviously admired some of the conquistadors, but he kept in mind that even those of a more exploratory bent still thought and acted as conquistadors, save perhaps Cabeza de Vaca. I think it interesting that one review complains of a completely one-sided view of the conquistadors “ethnically cleansing” the lands they conquered, while another complains about the British self-loathing. I think actually, there’s a pretty good balance between the two: Wood rightfully points out the excesses of the Spanish, but he also explains some of their reactions and doesn’t gloss over the issues of human sacrifice, etc. 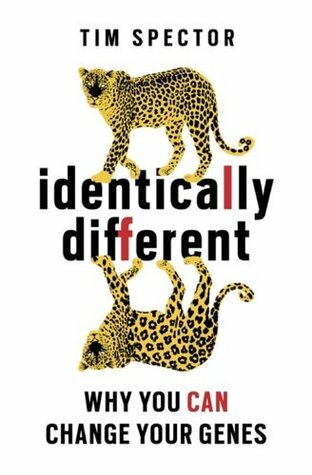 I wasn’t sure how this would turn out, since it mentions the widely ridiculed Lamarckian theory of inheritance, and the subtitle “Why You Can Change Your Genes” might sound a tad self-helpy. Luckily, it is actually a sound examination of current epigenetic theory, based on MZ and DZ twin studies looking at heritability. It makes an excellent follow-up to James Watson’s DNA, in that it moves on from the gene-centric view of biology to the more nuanced ideas we have now. I’ve always been fascinated by epigenetics. The whole idea is what made me interested in potentially becoming a geneticist: the idea that Lamarck wasn’t entirely wrong, that events within a person’s life can be passed on to their children and grandchildren. (The famous giraffe neck example was unequivocally wrong, however.) The example given then, and raised in this book, is that of potential epigenetic changes caused by IVF treatments, and the general lower health of children conceived via IVF. What really fascinates me now is that maybe my anxiety issues are related to the methylation of some of my DNA, preventing transcription of some proteins. And that would probably be a self-feeding process, with stress causing the original methylation and then decreased availability of a particular neurotransmitter causes more anxiety (less ability to regulate emotion) and more stress. If I could only remove those methyl groups from my brain cells, I could stop taking my medication and get on with my life. If I could magically go into research right now, that is undoubtedly where I’d go. The book covers a lot of different topics — sexuality, gender identity, athletic ability, talent, religious belief — and manages to do so without stepping on too many toes, to my mind. It presents a much less deterministic version of genetics and the epigenome than Watson’s DNA does, which people may find more palatable. It was basically the sort of book where I spent a lot of time texting people saying “did you know…?” I found it an easy read, and it has copious amounts of footnotes and opportunities to do further reading. Another one I heartily recommend! This is much, much better than James Watson’s 1968 The Double Helix, which is full of unbearable ego and sexist opinions. It even contains a chapter which explains the discovery of the double helix sans most of the commentary that made the earlier book annoying. Watson has definitely matured, thank goodness, and into a man I wouldn’t mind discussing genetics with. For example, he emphasises choice for pregnant women who know their babies have genetic disorders, insists that women have a right to decide on abortion which it is barbaric to deny, which I wouldn’t have predicted from his earlier book and which suggests a more liberal outlook than I expected. In terms of the science alone, minus any comments on the writer, this is an excellent primer on DNA, covering most of what we currently understand about DNA. Being published nearly a decade ago now, it doesn’t comment on newer discoveries like the epigenetic control of gene expression, but it does cover just about everything in my college level online genetics class right now, with the added benefit of being something you can take at your own pace and without the horrible quantity of math that actually putting theories into practice requires (for example, he talks about finding a gene by reference to its association with a marker: I can calculate that if you give me half an hour, a calculator and a piece of paper — and allow me to cuss a good bit). It’s accessible to the layman, I think, but I still found it of interest despite my genetics classes and general interest in the field. Some books leave me feeling that I’ve taken the wrong path in life. This is one of them. We know so many amazing, beautiful, astonishing things about DNA — and we have so much more to learn. This book made me long to have taken the other path in which I forced myself through the sciences for my A Levels, took a degree in genetics or something related, and became a geneticist. Watson clearly evokes the potential for this knowledge, and makes me wish I could add whatever intelligence I have to the process. Skip The Double Helix, except as a historical document, but I do recommend DNA: The Secret of Life with little reserve. It hasn’t been such a busy week this week, reading-wise. 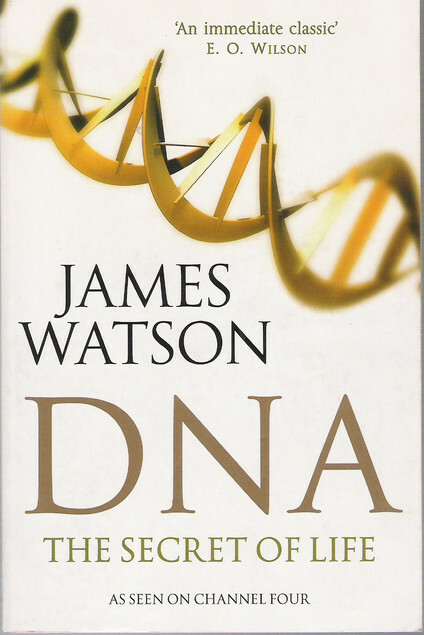 The last thing I finished was The Double Helix, James Watson’s account of the discovery of DNA. God, he has an ego on him, and he’s sexist about it too, at least back in 1968 when it was published. Rosalind Franklin, “Rosy”, would have been much improved by doing something novel with her hair, apparently. The Thirteenth Tale by Diane Setterfield and DNA by James Watson. Yes, that same James Watson. It’s better because it’s not focused on himself, and it even includes the account from The Double Helix in miniature, so just… stick to that one. I understand everything in it without a struggle: sometimes I think he does get beyond what most people are used to, like recombination, but heck, I’ve done the math on recombination — if a simple description stumped me, my genetics grade would be in trouble. The Thirteenth Tale is quite good. It’s reminding me of something else, several somethings, but that doesn’t bother me too much — in some cases, I think the allusions are intentional anyway. It’s definitely better than Bellman & Black. And I love the book-obsessed main character largely because her thirst for books mirrors my own. The plan is to finish reading Retribution Falls (Chris Wooding) and Augustus (John Williams). But I think everyone’s pretty used to how little my plans relate to what actually happens. Hmmm, The Origins of Virtue is an interesting examination of the possible evolutionary causes of virtue, mostly defined here as altruism. It works quite well as a supplement that falls somewhere in between three of my current classes on Coursera: one with an anthropological bent, one largely genetic, and one about morality. It draws some of those themes together quite well, for me, and explains some of the studies — and some of the pitfalls of the studies, and wishful thinking. It’s also pretty well written: it’s divided into both chapters and sections, which makes it easy to digest and keeps the argument focused. 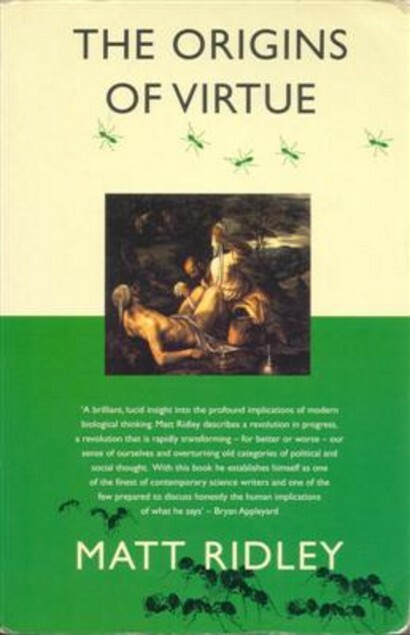 On the other hand, it’s a little old now (1996), and Ridley’s ideology is very obvious to the attentive reader, although camouflaged by his scientific tone. At least the last chapter unveils his ethical principles: anti-government, anti-socialism (including such familiar institutions to Brits as the NHS), pro-small collectives and curated communal living. To be fair, he does analyse some of the ways this falls down, but he mostly focuses on why government-run things doesn’t work. I mean, I love the NHS unashamedly. I went from the diagnosis of gallstones to medication to having my gallbladder removed in the process of a couple of months, without paying for anything at the point of use, at a time when I couldn’t support myself and was in agonising pain. Throughout my life I’ll pay back into that system with my taxes, and I don’t begrudge it at all, whatever Ridley’s conclusions told him.